RestorationMaster is available 24 hours a day at 888-915-8868 for emergency disaster restoration services in Tacoma, WA and the surrounding communities. 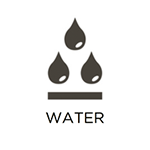 Water is a constant threat to cause damage in a home or building due to heavy rain and flooding as well as internal problems including burst pipes and leaks. When water damage occurs, it can cause significant structural and content damage while spreading beyond the original area. However, RestorationMaster provides water damage restoration and flood restoration services to homes and businesses. We will remove the excess water while restoring furnishings and structural components that have sustained damage. 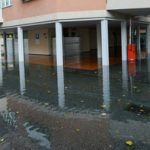 Finally, calling us for immediate assistance after discovering water damage will then reduce the cost and time required to restore the building to its previous condition. Fires are a major threat for homeowners and business owners as they can wipe out entire properties in short periods of time. 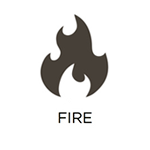 When a fire does occur, the flames themselves are not the only threat to cause damage; the smoke and soot continue to damage surfaces and structures after the fire is extinguished. RestorationMaster provides fire and smoke damage restoration services to restore homes and businesses in Tacoma, WA in the aftermath of a fire. Our technicians are highly trained to use the latest fire and smoke damage equipment and cleaning products to repair and restore structural elements, furniture, electronics, and even fine art. 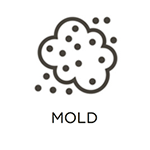 The development of mold growth is always a possibility as mold spores require little moisture and food in order to grow. The food source can include many basic components of a structure including wood, drywall, and other building materials. Once mold forms, it is a threat to spread and cause damage to not only the structural components, but all the content in the building. However, mold can be very difficult to remove without the proper training and cleaning products; this is why you should call a professional. RestorationMaster provides effective mold removal and mold remediation services for homes and businesses in Tacoma, WA and the surrounding communities. We respond within 2-4 hours of your call to effectively handle the removal and restoration caused by mold. 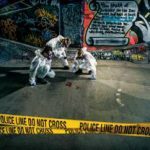 While it may seem rare for individuals to discover trauma and crime scenes on their property, it is actually a fairly common occurrence. However, in these cases, it is important for you to know what to do so that proper action is taken immediately. Law enforcement and EMT’s should first be called to scenes involving serious injury or death. 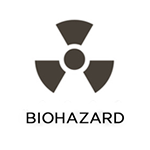 If the scene contains biohazardous materials such as blood and other bodily fluids, a specialized professional must then be contacted for proper cleaning services. RestorationMaster provides trauma and crime scene cleaning services in Tacoma, WA and the surrounding areas to safely clean and restore scenes containing biohazardous materials. We have the effective products, equipment, and training to restore the affected area. These projects will then be completed in the highest respect for those grieving from the tragedy. Most people maintain their homes with regular house cleaning. However, failure to do this on a regular basis will result in a dirty, cluttered, and unsanitary home. 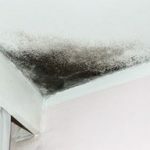 If a home is not cleaned for a significant period of time, or if the residents have an unsanitary lifestyle, the condition of the home can worsen; in these cases, mold, bacteria, and other gross filth will develop. However, RestorationMaster provides gross filth cleaning in Tacoma, WA and the surrounding areas to effectively clean and restore homes that have succumbed to gross filth. Regardless of whether it developed as a consequence of negligence or hoarding, our technicians have the training and equipment to clean and restore the worst cases of gross filth in a home or building. 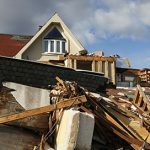 Natural disasters have a way of causing extensive damage in your home, affecting your personal belongings in addition to the structural elements. Discovering damage to your personal items can leave you feeling helpless, but our technicians can help by restoring your content as part of our disaster restoration services. RestorationMaster provides content cleaning and pack out services in Tacoma, WA and the surrounding areas to ensure that your damaged items are fully cleaned and restored. While we are equipped to handle the content restoration on-site, we also provide pack-outs if the conditions of your home do not allow for proper restoration. 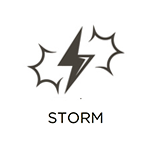 You never know when a major storm will hit your area; they can also cause significant damage to your property. The Tacoma, WA area experiences adverse weather conditions such as thunderstorms, hail, wind, snow, and consistent rainfall that could lead to property damage. However, RestorationMaster provides storm damage restoration services to secure and rebuild homes and businesses in Tacoma, WA that have experienced structural damage from a storm. We will immediately secure your home or building to prevent further damage while ensuring that your property is repaired and cleared of any debris. 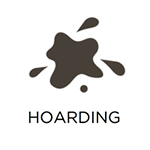 Hoarding is a mental disorder that affects millions in the United States. People that struggle with hoarding issues have extreme anxiety that prevents them from throwing away or parting with any object that have entered their home. As more items accumulate in the home, the living conditions become more dangerous because the hoarded items increase the risk of fire, injury, and mold or bacteria growth that can have a serious health effect. RestorationMaster provides hoarding cleaning services in Tacoma, WA to help those whose homes are affected by hoarding. Our technicians approach the affected individual with compassion and respect. Finally, we are fully equipped to clean and restore the home.